Henry Ware was a preacher and theologian influential in the formation of Unitarianism and the American Unitarian Association in the United States. Born in Sherborn, Massachusetts, Ware was educated at Harvard College, earning his A.B. in 1785. 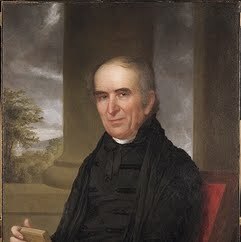 He was from 1787 to 1805 the minister of the First Parish in Hingham, Massachusetts. He was elected a Fellow of the American Academy of Arts and Sciences in 1804. In 1805 he was elected to the Hollis Chair at Harvard, precipitating a controversy between Unitarians and more conservative Calvinists. He took part in the formation of the Harvard Divinity School and the establishment of Unitarianism there in the following decades, publishing his debates with eminent Calvinists in the 1820s. His son, Henry Ware, Jr., followed his father as a Harvard Divinity professor and Unitarian theologian.